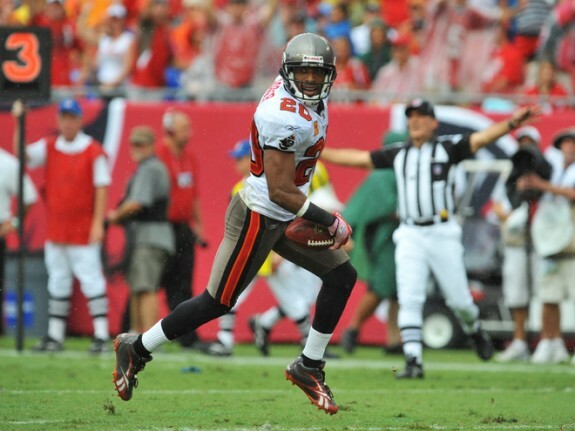 For the ninth time in his Buccaneers career, including the postseason, cornerback Ronde Barber was named the NFC Defensive Player of the Week after recording four tackles, one tackle for loss, one fumble recovery, one interception and three passes defensed, in a 16-13 win over the NFC South rival Atlanta Falcons. The interception marked the 41st of Barber’s career and ranks as the most in team history. He is the only player in NFL history to record 40 or more interceptions and 25 or more sacks in a career. Barber also made his 186th consecutive start, which is the longest active consecutive start streak in the NFL. Barber has the most Player of the Week awards in team history.